Advantage 80 is for the prevention and treatment of fleas on cats and large rabbits. Advantage 80 is a Prescription Only Veterinary Medicine and by law requires a prescription from your vet. Description: Advantage 80 is for the prevention and treatment of fleas on cats and large rabbits. Advantage can also be used as part of a treatment strategy for Flea Allergy Dermatitis in cats where this has been previously diagnosed by a veterinary surgeon. 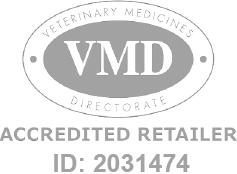 Presentation and Administration: Easy to use pipette containing 0.8ml of a cutaneous solution to be applied to the skin on the pets neck and the base of the skull.